Agilent Technologies Inc. (NYSE: A) recently announced a product enhancement designed to help engineers extend the capabilities of compliance applications on the company's Infiniium real-time oscilloscopes. The enhancement to Agilent's N5467A user-defined application software gives engineers the ability to develop extensions that they can plug into existing compliance applications for USB, PCIe(r), DDR, SATA, HDMI, MIPI, Ethernet and other technologies. This add-in capability allows engineers to rapidly automate custom measurements on Infiniium oscilloscopes, which saves time and effort. Complete custom tests with configuration variables and connection prompts. Pre- and post-processing scripts such as MATLAB, LabVIEW, Python, C++ and Visual Basic. External instrument controllers for pattern generators, probe switches, temperature chambers and other devices. 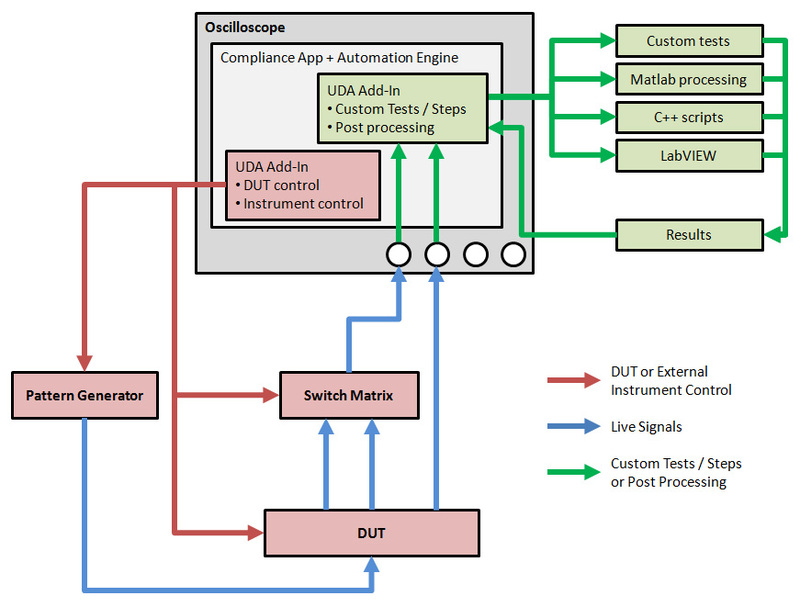 Device-under-test controllers to transmit specific test patterns, change test modes, etc. Add-ins are ideal for situations where existing compliance applications do not provide the exact measurements or automation capabilities engineers require. When installed, they are fully integrated into the application, which provides full, detailed HTML reports for the simplest to the most complicated measurements and test setups. Add-ins also can control any SCPI-based instruments connected to a network via Agilent's IO Libraries Suite. 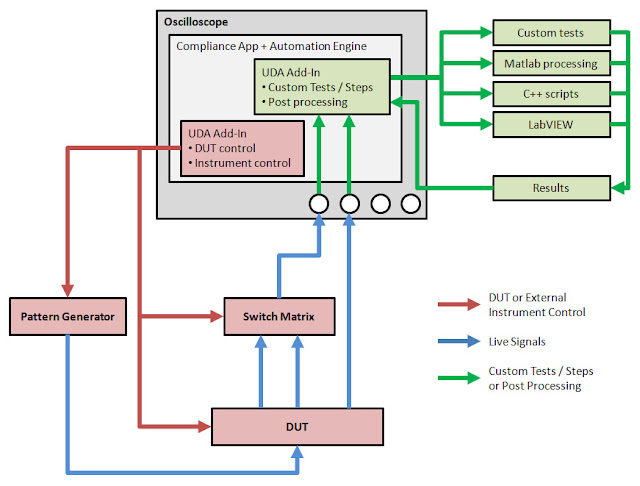 "Engineers have been asking for the ability to extend the capability of our huge list of compliance applications," said Jay Alexander, vice president and general manager of Agilent's Oscilloscope Products Division. "We are excited to give our customers the flexibility to automate custom measurements and measurements with external instruments so they can test more efficiently." With add-ins, engineers can take advantage of the Infiniium 90000 and 90000 X-Series oscilloscopes' lowest noise floor and flattest response to achieve unprecedented measurement accuracy. The Agilent add-in development environment may be downloaded free of charge at www.agilent.com/find/uda. Engineers can use it to develop the add-ins and standalone applications they need. Once the add-in is installed into an existing compliance application, it can be run fully integrated with the application, at which time the N5467A Infiniium option license is required. Additional information about Agilent's user-defined application software can be found at www.agilent.com/find/uda. Product images are available at www.agilent.com/find/uda_images. The Agilent N5467A application is available now for $3,500. The UDA development environment is available today for download at www.agilent.com/find/uda.